Polistra's Mill: Food Revolution Day! 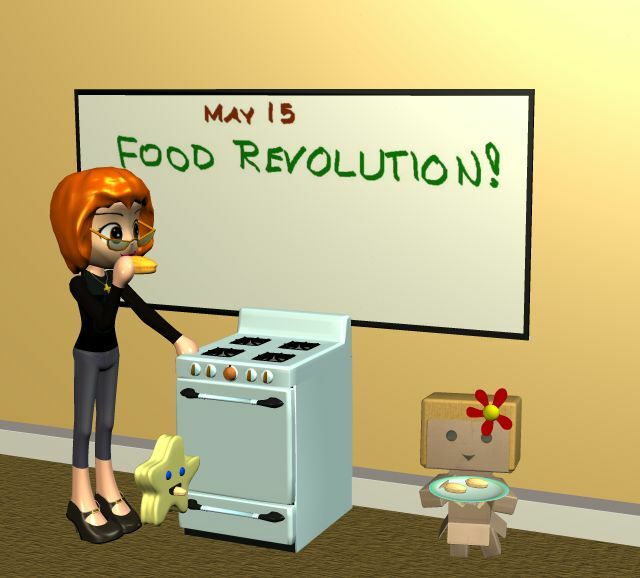 Chef Danbo reminds me that today is Food Revolution Day, aimed at restoring Home Ec to its proper place in schools. Of course it can't be called Home Ec now; it has to be Food Ed or something similar. That's fine. Home Ec was a sneaky name in the first place, designed to slip a useful course into useless colleges under the guise of a useless pile of theoryshit like Economics. The basics of food preparation and sanitation are crucially important for everyone. More advanced courses are needed for housewives and restaurant workers. There's a petition to push for more Food Ed at change.org.